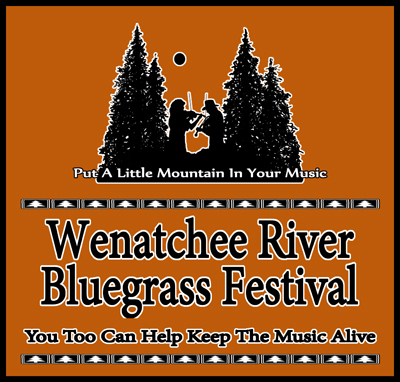 The Wenatchee River Bluegrass Festival is a 501 (c) 3 non-profit organization. Our goal is to provide you with the very best bluegrass entertainment at a very affordable price. 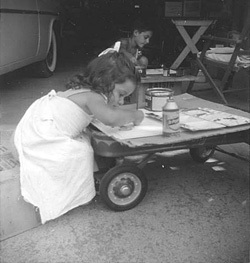 We can only do this through the generosity of our corporate sponsors and you, our individual contributors. Your financial contributions are vital in helping us maintain reasonable ticket prices and the hiring of great national and regional performances. Once again, your willingness to contribute has enabled us to bring to our valley world class entertainers, most notably; Russell Moore and IIIrd Tyme Out, The Gibson Brothers, Blue Highway, The Band Of Ruhks, The Boxcars, Della Mae, Wayne Taylor and Appaloosa, Frank Solivan & Dirty Kitchen, The Infamous Stringdusters, Volume Five, Clay Hess Band, The Chapmans, John Reischman and the Jaybirds, and many more. It should be noted that 2018 is our 16th year anniversary featuring IBMA Award winners Flatt Lonesome, Alan Bibey & Grasstowne, Special Consensus; SPBGMA Nominee The Kody Norris Show, along with Northwest Favorites Old Growth Quartet & Rusty Hinges. In addition, these funds will help support "Taylor's Camp", a program designed to educate young folks interested in learning to play Bluegrass music. Our success is due, in large part, to your generous gesture. It is greatly appreciated. We have created the Wenatchee River Bluegrass Festival Supporter Program for individuals who would like to add their efforts to those of our fine corporate sponsors. Please note that many companies provide matching funds for charitable donations made by their employees. This would be a great way to double your donation. Also, your cash donations are tax deductible. Any contribution will be gratefully accepted. All contributions have Advertising Benefits. Your financial support is greatly appreciated and with your help, we can continue to keep the music alive and bring the very best bluegrass entertainment to our community! Please support your local Live Music.